PLEASE NOTE ~ From Sun 28 April – Sun 5 May the Japanese car auctions will be closed as Japan celebrates it’s annual ‘Golden Week’ holiday. The regular auction schedule resumes from Monday 6 May. View data for Today, Future and Past Japanese car auctions. “PAST” displays 3 months of auction results for any model and provides the best information on price / availability. For SALE PRICE research – set Location to “Non-USS only” as USS auctions don’t publish prices. We are committed to ensuring that you get what you pay for. For your peace of mind we provide the original JAPANESE EXPORT CERTIFICATE for every vehicle sourced. The Japan Car Auction System is the cheapest source of cars in Japan with more than 80 online auctions and 140,000+ vehicles every week. Our agents cover the best Japan car auctions, translate Japanese auction sheets and carefully inspect each car to ensure quality. 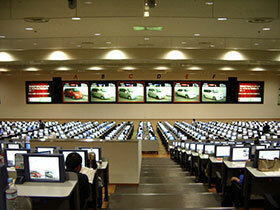 We help you to select and import your own car from the large choice at the online Japanese car auctions each week. We are on YOUR SIDE from start to finish. All vehicles are physically checked by our reliable agents on the ground at auction, with full details and pictures provided and discussed with you on auction day. Watch the short video to see how we do it. Find out How Direct Car Import Works or read more about our service. No hidden costs ever ! We started this business in 1999 to protect other enthusiasts like us from being overcharged and misled. Our Import Cost Calculator sets out the costs of importing a Japanese car in detail. We work through this with you to determine your budget. You need to become a client by paying our service fee prior to a suitable vehicle coming up on auction day to enable us to inspect and bid for you. 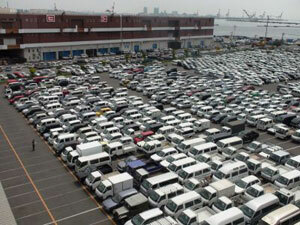 Japan car auctions move quickly and most auction vehicles come up with limited notice. Vehicles are graded from 6 (best) to 0 with A (best) to D used for interior grade. 0, R, A are all used to denote repaired vehicles, with RA, A1 being minor repairs. *** is used when there is major existing damage or fault. Our Japanese Auction Guide has a full explanation of how the auctions work and more detail about the grading including abbreviations used in the auction inspection reports. Most relevant information is understandable by anyone, and positive and negative comments in Japanese will be translated for clients. So you don’t need to read Japanese ! We use the auction reports as a guide only, and always inspect vehicles in person ourselves. See our FAQ Vehicle condition and the importance of vehicle inspections for why this is so critical.